Saturated colour, sensor mutilation and seminal film flicker take over two floors of The Brunswick Club. 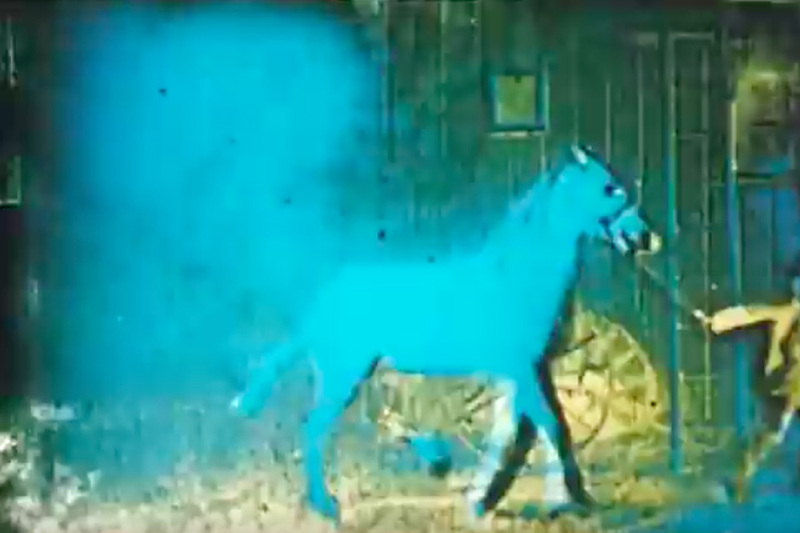 Avant-garde film pioneer Malcolm Le Grice introduces a selection of his films including Little Dog for Roger (1967) and the dual 16mm version of Berlin Horse (1970). 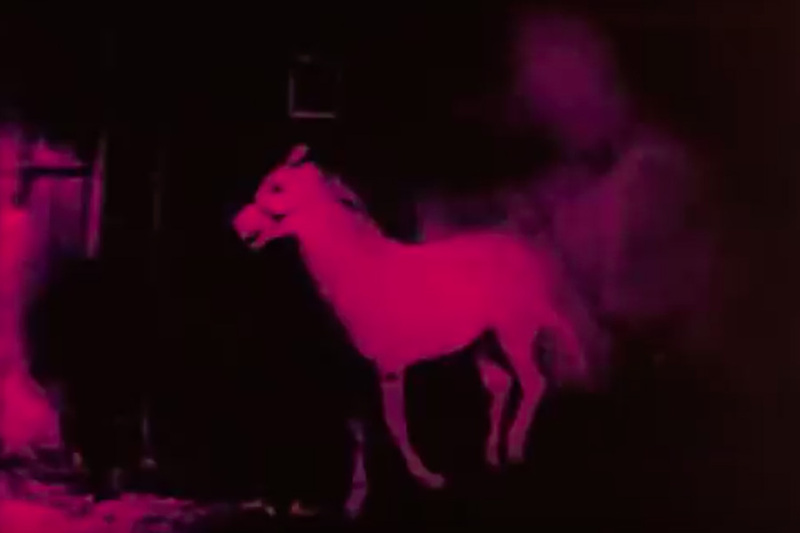 Tscherkassky’s sensual and spectral The Exquisite Corpus (2015) completes the screenings. Performances Destruction of an Image Sensor by Stephen Cornford and Bicycle Tyre Tracks by Vicky Smith punctuate the evening alongside moving image artwork by Dani Landau, Roderick Maclachlan, Stuart Moore, Alex Nevill and Lucy Williams. A UWE Moving Image Research event – http://www.mir.org.uk. Malcolm Le Grice pioneered the ‘British Expanded Cinema’ movement with multi-projection and performance works. His work has explored the complex relationships between the filmmaking, projecting and viewing processes which constitute cinema as a medium. In addition to being a prolific filmmaker, Le Grice played an influential role in the critical and institutional promotion of avant-garde cinema in Britain. In the late 1960s he was a prominent activist in the Drury Lane Arts Lab, where he formed Filmaktion with William Raban, Annabel Nicolson, Gill Eatherley, Mike Dunford and David Crosswaite, and organised mixed-media shows. He founded the London Filmmakers’ Co-op workshop, at the same time introducing film to fine art students at St Martins School of Art and Goldsmith’s College, London. His published work on film history and theory includes the influential Abstract Film and Beyond, MIT Press(1977), and Experimental Cinema in the Digital Age, BFI Publications, (2001). Le Grice’s work has been exhibited across the UK, Europe and New York including at Tate Modern and Tate Britain, the Centre George Pompidou and Louvre, the Museum of Modern Art, MACBA in Barcelona and MUMOK in Vienna. He is represented in national archive collections across Europe and Australia, with over 80 works in the British Film Institute.